The way in which transnational families maintain long-distance relationships has been revolutionised by the emergence of new media such as email, instant messaging, and social networking sites. Drawing on a long-term ethnographic study of prolonged separation between migrant mothers and their children who remain in the Philippines, this book discusses the impact of new media on the nature of mediated relationships. It brings together the perspectives of both the mothers and children and seeks to show how the very nature of family relationships is changing. Nicole Shephard recommends Migration and New Media to academic audiences concerned with issues as diverse as migration, motherhood, and technology. Migration and New Media: Transnational Families and Polymedia. Mirca Madianou and Daniel Miller. Routledge. 2012. How do transnational families draw on new media to care for each other? As Mark Poster (in Into the Universe of Technical Images; p. ix) has pointed out, the “immense implication of the dramatic spread of media in everyday life is beginning to dawn on most of us. Yet much remains to be done in theorising information media and studying it empirically”. 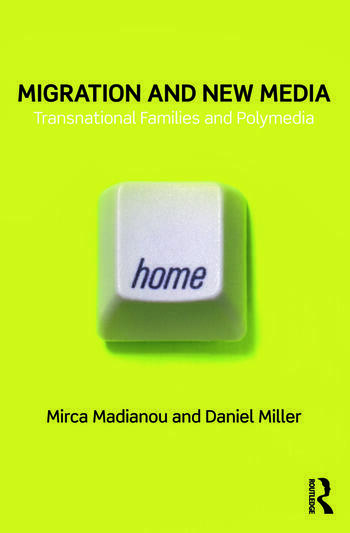 In Migration and New Media: Transnational Families and Polymedia, Mirca Madianou and Daniel Miller go a long way towards both; contributing original empirical research on use of digital media in everyday transnational life, as well as convincingly theorising mediated relationships. Madianou, Senior Lecturer at the University of Leicester Department of Media and Communication, and Miller, Professor of Material Culture at the UCL Department of Anthropology, have conducted a three-year ESRC-funded study on migration, ICTs, and the transformation of transnational family life. Migration and New Media is the outcome of that extensive research (more on the project and additional articles here). Migration and New Media is a compelling read about the ‘connected transnational family’, which is “the result of the convergence of these two phenomena: migrant transnationalism and the explosion of communicative opportunities afforded by new media” (p. 1). The multi-sited ethnography spans Filipina migrant mothers who are nurses and domestic workers in London and Cambridge, as well as their children, who stayed in the Philippines. Chapter two situates the Philippines as “at the forefront of globalization in three interrelated areas (…): migration, family, and telecommunications” (p. 16), and chapter three contextualizes Filipina migratory trajectories, concluding that “new media are playing an increasingly significant role in reconciling the marked ambivalence of migrant motherhood and in justifying decisions to prolong migration” (p. 51). Chapters four, five, and six go on to present rich ethnographic accounts of transnational mothering and the use of media, old and new, to sustain relationships. The mothers’ and the children’s perspectives are dedicated a full chapter each. Between them, they illustrate, for instance, how, despite long distances, new media provide opportunities for “intensive mothering” (p. 70) that mothers see as a major benefit, while children may perceive this heightened contact as intrusive and controlling. New media are no panacea to overcome transnational separation in mother-child relationships. Whether or not mediated co-presence (for example via webcam) is beneficial to the relationship depends on numerous factors such as the age of the child when the mother migrated or the nature of the relationship prior the mother’s migration (p. 94). Whether coincidence or foresight, the timing of the ethnographic study could not have been more aptly chosen. Even in the near future, researchers will be hard pressed to find research participants who so vividly recall early years of their migratory experience pre-internet and affordable mobile communication, yet are now firmly embedded in rapidly changing information media environments. The result is a comparison between the era of letters and cassette tapes, often nostalgically romanticised albeit lacking in interactivity and simultaneity (p. 67), and the current era of digital media such as instant messaging, social networking, chat and webcams from the rather divergent perspectives of migrant mothers and their children in the Philippines. The empirical study of mediated relationships neither prioritizes the media, nor relationships, but views them as co-constitutive. The ethnographic material is then taken as pivot for the theoretical contribution in the final three chapters. One of the major contributions this book makes is the development of the notion of polymedia. Based on the observation that communication does not take place over a single technology but by choosing between and combining a variety of media, polymedia is coined “to refer to these various, constantly changing media and the need for each relationship to create a configuration of usage” (p. 124) amongst them. Three criteria apply to a situation of polymedia: access to a wide range of mobile and internet-based media, digital media literacy, and a shift in cost from individual acts of communication to infrastructure, where the former are free of cost (p. 126). The notion of polymedia as a lens to investigate mediated relations and spaces strikes me as particularly pertinent as it allows for a decoupling of the analysis from a singular medium or mode of communication, thus countering the risk of resorting to forms of technological determinism (p. 142). In times where communication technology changes more rapidly than social theory can follow, thinking of the transnational social space as a “complex situation of contemporary polymedia” (p. 55) seems a promising and timely addition to the theoretical toolkit. In the final chapter, where all threads are drawn back together in a theory of mediated relationships, Madianou and Miller conceptualise relationships as a triangle consisting of the normative ideal (of a mother or a child), the actual person, and the discrepancy between the two. The length of the discrepancy side of the triangle “is the degree to which an actual mother or child deviates from the normative ideal” (p. 141). In a situation of transnational separation, both the “evidence” of the actual person occupying the idealised position and the discrepancy between the two rely on the media used, which suggests that the relationship is intrinsically a mediated one (p. 141). Their theory thus firmly places media studies in the social sciences, as “the situation of polymedia is one in which the media are mediated by the relationship as well as the other way around” (p.148). The most compelling aspect of this book, this reader would argue, is its simultaneous engagement with a broad range of entangled issues. It convincingly puts mothers/children, migration/communication, mediation/relationship, past/present/future as well as theory/research practice into close encounter throughout. In many ways the study is specific to the transnational social space navigated by Filipina migrant mothers in the UK and their children, partners, and extended families in the Philippines. Yet at the same time the analysis will resonate with any reader who makes extensive use of such polymedia environments in personal relationships. This familiarity is, perhaps, indicative of the broad applicability of Madianou and Miller’s theory of mediated relationships and polymedia. Situated on the nexus between social anthropology and media studies, this trans-disciplinary contribution will appeal to academic audiences concerned with issues as diverse as migration, transnationalism, globalisation, motherhood, kinship, (new) media and the interactions between the social and technology. Due to its accessibility it will equally appeal to wider audiences interested any of these topics or the Philippines more generally. Nicole Shephard is a PhD candidate at the LSE Gender Institute, where her research conceptually explores how people become transnational subjects. The analysis engages with the notion of transnational social space, intersectional theory and the queering of methodologies. 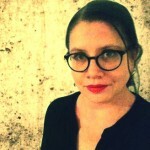 Her broader academic interests include gender, migration, social movements, online activism and research methods. She holds an MSc in International Development from Bristol University and a BA in Social Work and Social Policy with a minor in Social Anthropology from University of Fribourg (Switzerland). Her pre-academic professional background is in IT and Human Resources, where she has worked in application management and process management. She has a website and also tweets @kilolo_. Read more reviews by Nicole.